During the Cold War, the United States made the case for the American way of life by sending its best ambassadors abroad -- jazz musicians. "Music that was unique to America and represented a fusion of African and African-American cultures with other traditions was a democratic art form that helped others to understand the open-minded and creative sensibility of our country," writes the Jam Session web site. 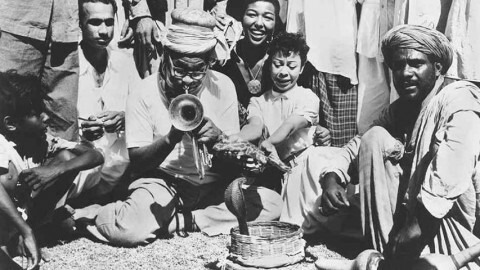 There, you can see photos of Duke Ellington, Dizzy Gillespie and Dave Brubeck in countries like Syria, Jordan, Afghanistan, Iraq, Japan, Singapore, South Korea, and Hong Kong. 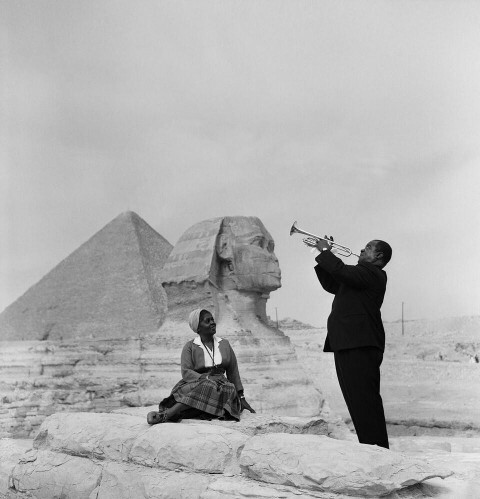 As part of this cultural diplomacy, the great Louis Armstrong went to Egypt in 1961 where, in this iconic photo, he played trumpet for his wife, Lucille, at the foot of the Great Sphinx and the pyramids in Giza. 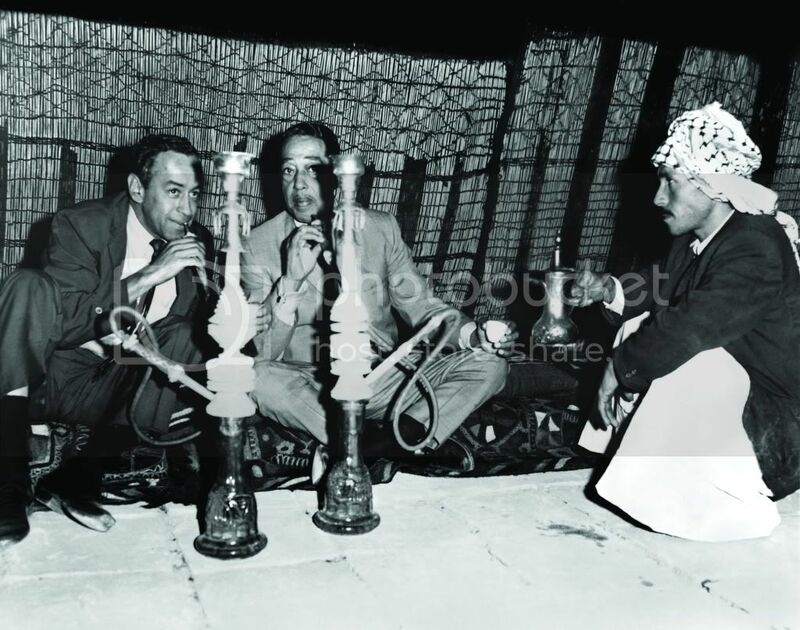 A 2008 New York Times article highlights other images from these goodwill tours -- there’s Dizzy Gillespie charming a snake with his trumpet in Karachi (1956), Benny Goodman playing his clarinet in the Red Square (1962) and Duke Ellington smoking a hookah in Iraq (1963). In a previous post, we also have Dave Brubeck talking about his Cold War adventures in Poland. Watch here.